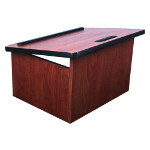 * SN308500 is a special order custom made item, making it noncancellable. 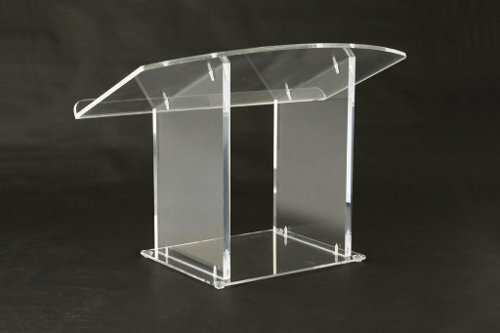 This clear plexiglass lectern has a curved front edge for a modern look. 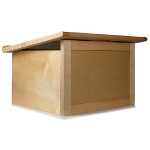 Constructed of 3/4"" thick base and 1/2" column & reading surface. The mid section is open to allow for additional notes/materials to be kept at hand. 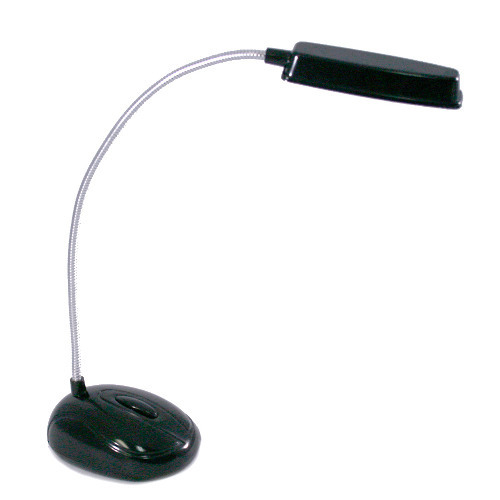 Our stylish, compact lectern is ultra portable, designed for simplicity and ease of travel. Sets up in seconds. 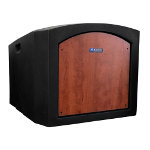 Easy to transport, presentations can be carried to your meeting venue and in seconds easily unfold into a lectern.